Beetroot is the wunderkind of the vegetable family. Bright, vibrant and packed full of nutrients, beetroot cleanses the liver, nourishes the blood and is also highly fibrous. 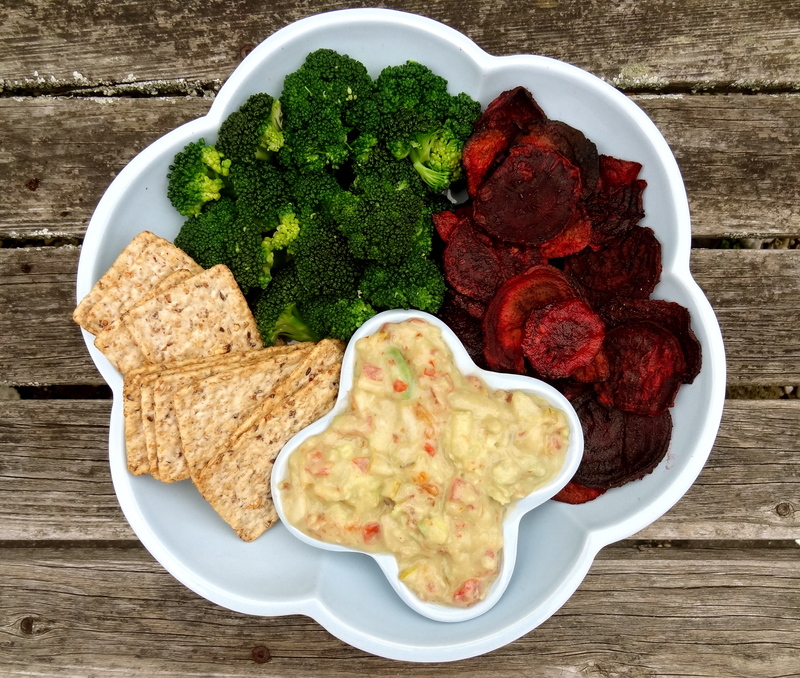 These spiced beetroot chips are a great way to introduce more beetroot in to your diet, especially those among us who are not so hot on beetroot but love to indulge in chippies. The spiced beetroot chips perfectly match the pear guacamole, which my lovely Beau concocted. He sought to bulk out the guacamole whilst spontaneously entertaining guests one evening – pure genius, I say. The pear provides a refreshing sweetness, whilst the coconut cream gives the dish a delightful creaminess. This recipe (recently published in The Kiwi Diary 2015) is ideal for a spot of autumnal entertaining with your nearest and dearest. Preheat the oven to 160°C on fan bake. Slice the beetroot very thinly using a mandoline. Mix together the rock salt, brown sugar, white pepper and Chinese five spice. Toss the beetroot slices in olive oil and the spice mixture until they are well coated. Lay out on lined baking trays and bake until lightly crisp (20-30 minutes depending on the thickness of the beetroot slices). Transfer to a wire rack and allow to cool and become extra crispy. Combine all of the ingredients and mix well. Serve with spiced beetroot chips, crackers, crudités, tortillas or whatever else takes your fancy.